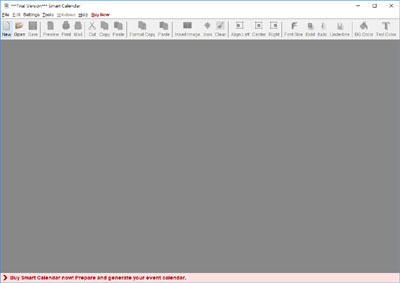 How to create a new Calendar? How to alter the outlook of the Day Box? 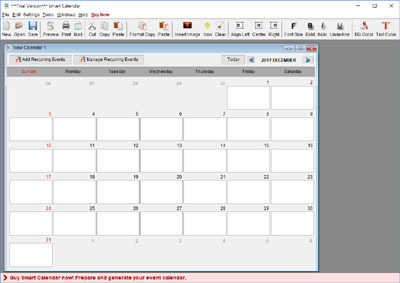 How to export the calendar into PDF/XLS/HTML? How many types of Calendar are provided? How to set the week start from Monday? Where to maintain the holiday list? How to set the properties of PDF output, like Title, Author, etc? How to change the Paper Size of the calendar? To create a new calendar, click the "New" icon . Three type of calendar are available, they are Monthly Calendar, Weekly Calendar and Daily Calendar. This is the settings for monthly calendar. 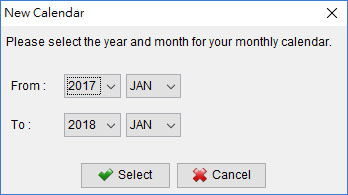 You will be prompted to select the month and year for your calendar. The new calendar is shown and you can input your events into the calendar. Click and button and switch to another months. Click button to add recurring events.